The Bakker Elkhuizen FlexDesk 640 Document Holder with writing slope is a Document holder that ensures that you can work efficiently and comfortably in the performance of Computer Working with documents. If documents are located on the left or right side of the user, creates an unnecessary burden neck. 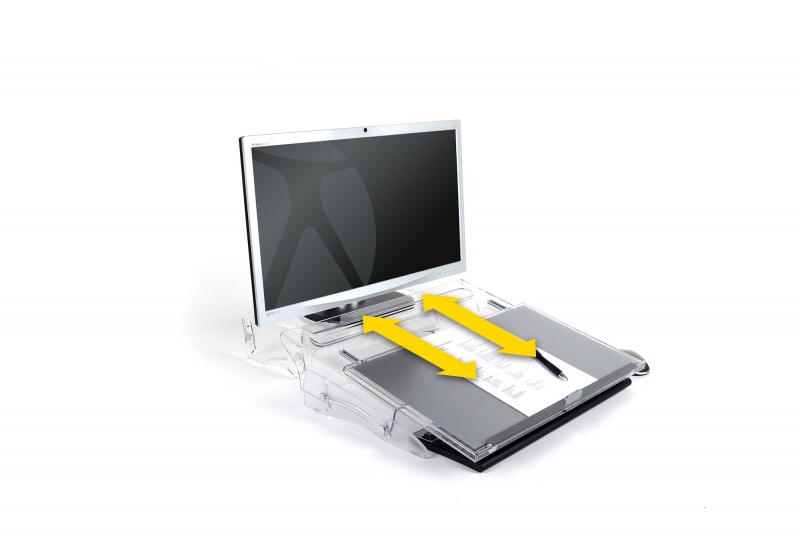 An "in-line" document holder creates one functional workspace and realized short term distances between document, screen and keyboard. Thereby, the productivity is increased. Wider working surface: 51 cm, without the product has broadened!